There is a 15% off Sale Until August 1! The video-classroom series, usually $395, is available on sale for $349! This includes a one-hour bonus consultation with Mark Wahl personally ($125 value) at any phase of your prep. That’s 19+ hours of insightful, engaging video that includes GRE Prep + powerful Math Reboot and 34 pp of teaching handouts used for class discussion and practice. Register now with the link below! You will get a classroom-like, colorful, friendly online video recording, with 34 pages of in-class handouts. Yes, all the potent prep that has made Mark Wahl’s teaching a prize for so many GRE-takers. Absorb video that “Has a Friendly Classroom Feel” from your living room!Take control of all three major areas of the test under the seasoned, friendly, guidance of master teacher Mark Wahl with helpful handouts! Replay videos as much as you need for re-study! Conveniently view videos of live instruction from your living room, absorbing Mark’s outstanding, unique explanations, demonstrations, strategies, humor and insights while building confidence and test savvy. Oh, and it’s easy to link in online! Not sure how ready you are? Go back to the home page. Take the 15-minute Personal Assessment (see links to it on the home page) and Mark will chat with you about the meaning of your results. Or go to the bottom of the home page and ask for the “Inside Glimpse” free booklet sent directly to you. Math concerns or fears? The Math Skills Reboot bonus sessions, included in the price, will gently and skillfully sharpen you up! + Bonus Four hours of Math Skill Reboot sessions. About the Instructor: You will get Mark Wahl as your instructor, not a corporately trained employee. Mark is the one whose approach and unique style literally thousands have appreciated in Seattle and at the University Of Washington. These were offered in the nineties and the first decade of the 2000s. Now you can get his teaching and crucial information online in your own living room on your own schedule! The format is that of a former live online class that has been recorded, retaining the “live feel,” a class with discussion and two-way video. You still have access to Mark Wahl by email with your questions or unique needs not addressed by the videos. Remember, online you get access to time-tested subtle strategies on all three sections: Verbal, Writing, and Math. The 19+ hours of video are power-packed with interactive feel during the direct instruction. Included is the optional Math Skill Reboot Class that gives you an excellent chance to clean up and speed up rusty your pre-algebra and algebra skills. For some of you these may have seemed a barrier to your going forward for years; cure them once and for all! A strong introduction to the format, strategies, and psychology of the math section. Next Two Videos: The Math Skill Reboot with study and practice materials to tune pre-algebra and algebra skills to work quickly and clearly with questions that often seek to trick you with twists and spin of these concepts. Some other math ideas you may be rusty on are also included, like probability, simple statistics, Venn diagrams, sequences. Next Two And a Half Videos: A “full deck” of effective, widely applicable strategies in many math areas like pre-algebra, algebra, geometry, story problems, probability, simple statistics, Venn diagrams, and sequences. And these can be in the new tricky question formats of the GRE math section. Basic principle: Less work done strategically trumps heavy lifting and slogging through problems the long way. Next One and One-Half Videos: Powerful ways to crack the several new verbal question formats are given in a systematic way with in-depth discussion. 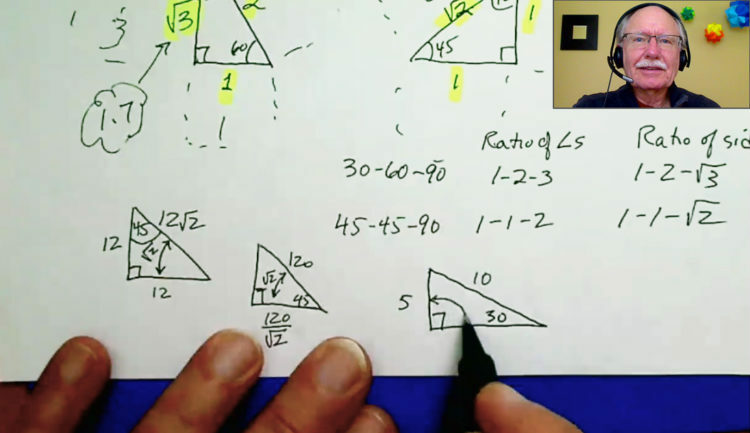 Final One and One-Half Videos: Strategy discussion about actually taking the test on test day. Then the two analytic writing tasks are analyzed from a variety of angles while examples are considered in depth. Further test attitude work and study guidelines are also given. Booking Your Test: The General GRE test itself is registered separately from this course. 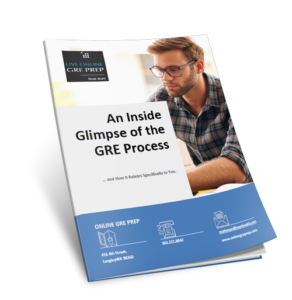 You can get information on many aspects of the GRE General Test from the ETS Company at ETS.org. For those in the Seattle area the Mountlake Terrace Prometric Test Center is closest (with a Puyallup one near Tacoma). It is booked through Prometric.com or 800-GRE-CALL for actual registration. You can choose an individual time and date for your GRE test taking. If you find yourself too rushed after scheduling you can reschedule up to 10 days before your test date for an extra fee (worth it if you still are not rightly psychologically or mentally positioned for the test).